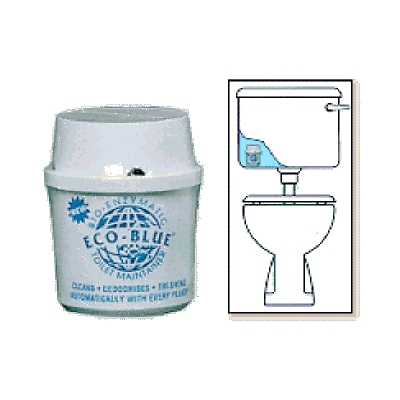 EcoBlueTM cleans, deodorisers and freshens automatically with every flush. 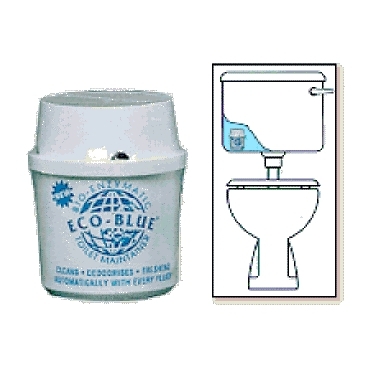 By clearing organic waste out of the toilet system, EcoBlueTM eliminates the source of stains, encrustations and malodours. At the same time, it keeps drains free flowing and choke-free. DIRECTIONS - Place inside water closet and fully immerse bottle.